You will feel at home when staying at Sweet Home Guest House, which offers quality and impressive services. Sweet Home Guest House located in Krabi Town city center, with its convenient location guests can enjoy a variety of activities and tourist attractions of the city. Sweet Home Guest House offers comfortable rooms with air conditioning. The property offers a variety of services including Wi-Fi in public areas, coffee shop, nail salon, free parking, airport transfer. Each room has a Flat-panel televisions with satellite channels , safe box and air condition. 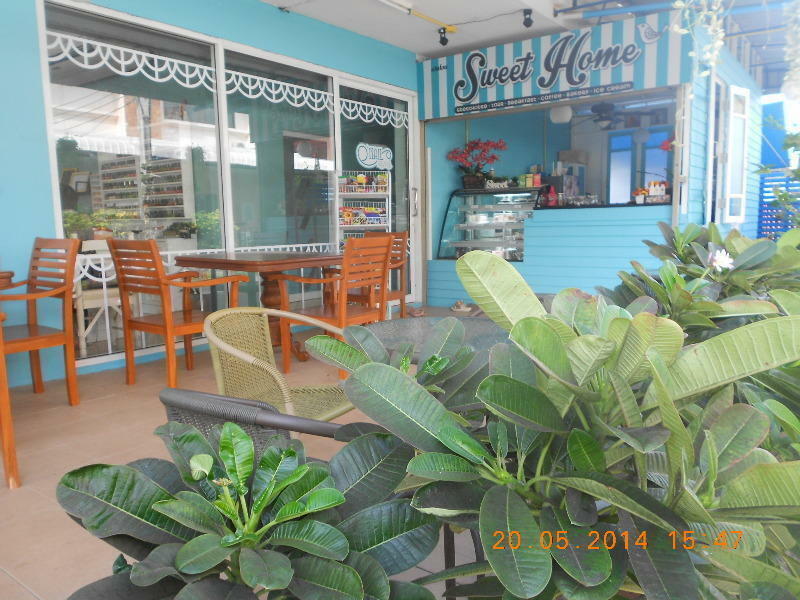 Sweet Home Guest House located in Krabi Town city center on Maharaj Rd. behind Night Market The route from Krabi Airport to Guesthouse take about 15-20 minutes by Taxi or Shuttle bus. No matter you travel solo or with family, Sweet Home Guest House is your ideal choice of a comfortable, warm and convenient accommodation for your trip to Krabi. Sweet Home Guesthouse away from Night Market by walk 2 minutes, Walking Street 5 minutes, Morning Market 10 minutes, Krabi River 5 minutes, Vougue Dapartment Store 5 minutes, Wat Keaw Temple 10 minutes. Away from Krabi Airport 20 minutes by taxi or shuttle bus, 20 minutes to Aonang Beach, 30 minutes to Klong Maung Beach. There are many restaurants around guesthouse such as Sea Food, Thai food, Dim Sum, International Food, KFC, Pizza, etc.